A common assertion is that Taijiquan begins with big frame, progressing to medium frame and eventually to small frame. Indeed there is a transitional and descending process for the body to move from big to small but ultimately there must be a harmony and co-existence of big and small. "Big" in Taijiquan refers to the potential change brought about by the harmonisation of the spirit, intention and internal strength. "Small" refers to the ability to concentrate any part of ...the body to an exact point of execution, by harnessing the whole integrated strength to a particular part so that every part of the body is a Taiji point. Therefore Taijiquan has both the big and extended frame and also the contained and compact frame. Every move demonstrates the existence of both -with the capacity of expansion within the small and reduction within the big. Based on the idea in Chapter 34 of Daodejing: "The principle (Dao) exists everywhere without exception, and becomes viewed as insignificant (small) because of its commonality and prevalence. At the same time all accomplishments are rooted in it and it is therefore of crucial significance (big). Even though the result is not obvious, it is in fact the route to the desired outcome. The Dao is therefore both the biggest and also the smallest. As Zhuangzi said: "so vast that there's no outside; so small that there's no inside." The big and the small are equal in significance. 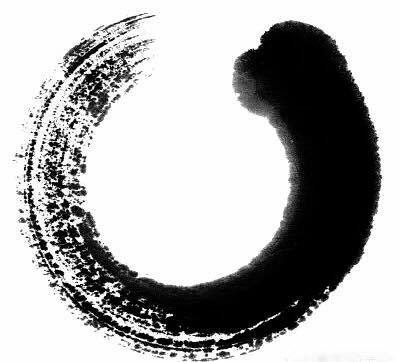 "Balance is the Foundation of Life"
"From Wuji Taiji is born"